I like to cuddle, to romp, chicken-herding, sanctity of the home enforcement, to play with my friends, to swim, locate my people by trailing, to sleep, listen to music, to read and to play chess. I do not like retrieving games, they are boring. I was born at 01/31/2007 and was one of the smallest of the puppies. I was part of the second birth my mom Amie gave to whelps. 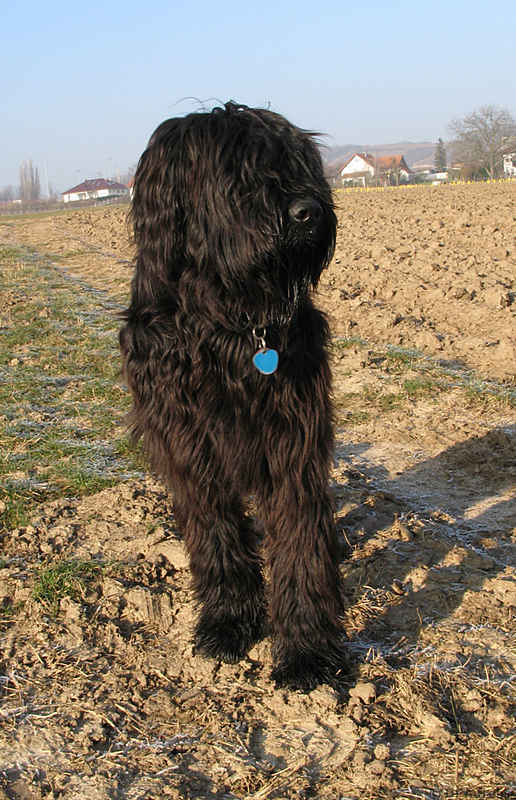 I origin from Briards of Wandersmann, a relatively young but very successful breed. I am a Berger de Brie, short a Briard. Read more about the breed here.